No Free Demo: The PrepCast CAPM review course has a lot of impressive features such as its large practice question bank and hours of video lessons, but it does not offer a free trial of the course. Ae peitai, it does offer a 90 day money back guarantee if you end up not liking the course. Line pito i lalo: The PMPrepcast CAPM study course is extremely user-friendly and designed with a focus on the modern student. They offer an easy to understand curriculum with full mobile compatibility. Bargain Price: For only $139, you’ll get access to a complete online prep program, sili atu 800 faiga fesili, course analytics, a concise summary of the PMBOK Guide and important formulas, ma 3 full-length simulated exams. That is a lot of content and practice material for a course that costs less than $150. 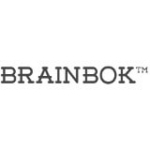 Free Materials & Features: BrainBOK offers access to a free account that includes unlimited access to their ITTO Explorer, quizzes, an exam simulator, ma 150 flashcards. You don’t even have to register if you have a Google account, you can just sign in and start studying for the CAPM exam. Line pito i lalo: Although students looking for a mobile app will be disappointed, individuals studying at home will love BrainBOK’s vast collection of study materials that come at a very reasonable price. tau & Refund Policy: For $399 you’ll get 9 hours of quality e-Learning content, 23 PDUs, 2 CAPM simulation exams, 12 chapter-end quizzes, a downloadable e-book for 30 aso. If you need more time. 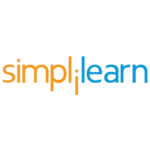 Simpli Learn also offers a 3-day money back guarantee if you decide their course is not a good fit. Line pito i lalo: With a convenient free course preview and glowing recommendations from PMI and the CPA institute, students can rest assured that SimpliLearn will provide the CAPM education they need to succeed. 1 Year Access to the Course: You will have an entire year of access to the online course and all study materials. This is several months more than leading competitors (most CAPM courses range from 30-180 aso), making it a great choice if you can only study small sections of the test at a time. Note that the instructor helpline feature is only available for 30 aso, so you should plan accordingly. No App: Most students appreciate the convenience of studying with an app on their smartphone or tablet while traveling or commuting to work. 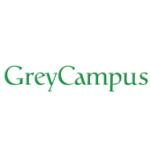 leaga 'ua, GreyCampus does not offer a mobile app to provide additional study options for the CAPM at this time. Line pito i lalo: With the quality materials and full year of access included in their CAPM course, it should come as no surprise that GreyCampus has such an impressive student pass rate. It’s just a shame that they don’t have an app.